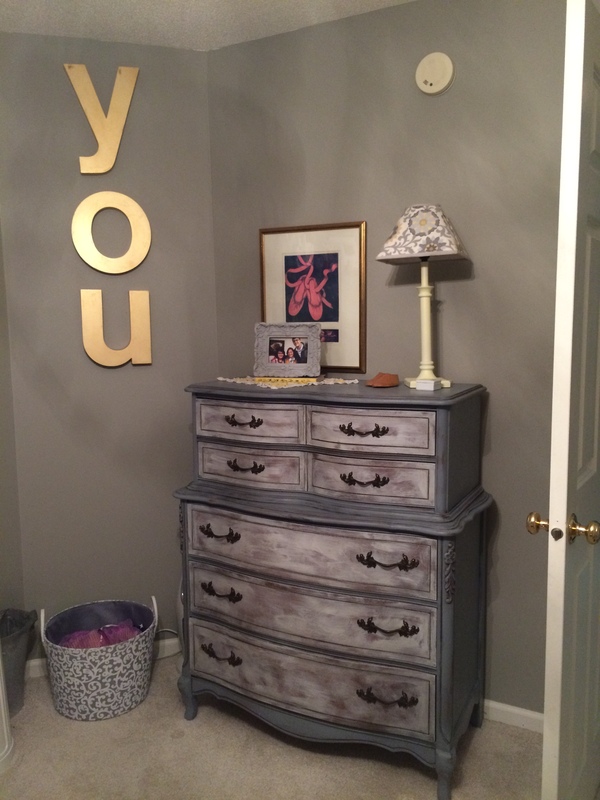 My favorite dresser that I’ve ever painted resides in my daughter’s nursery. As she got older, it was time to find something that could hold more clothing and transition her into a big girl room. 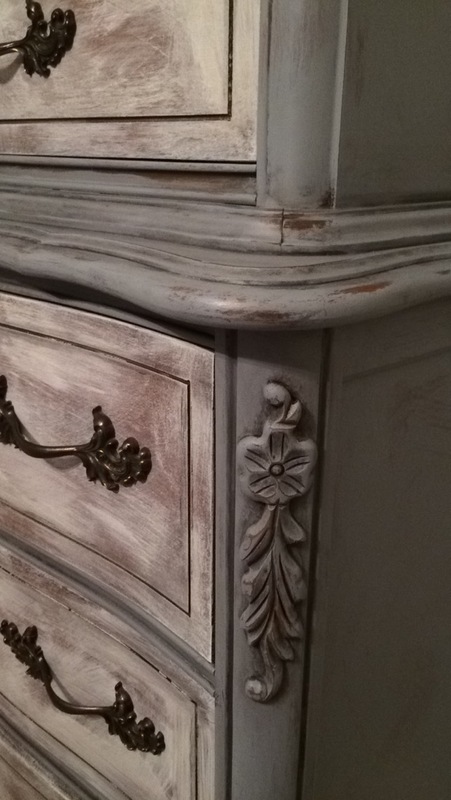 I love all the details on this beautiful dresser. 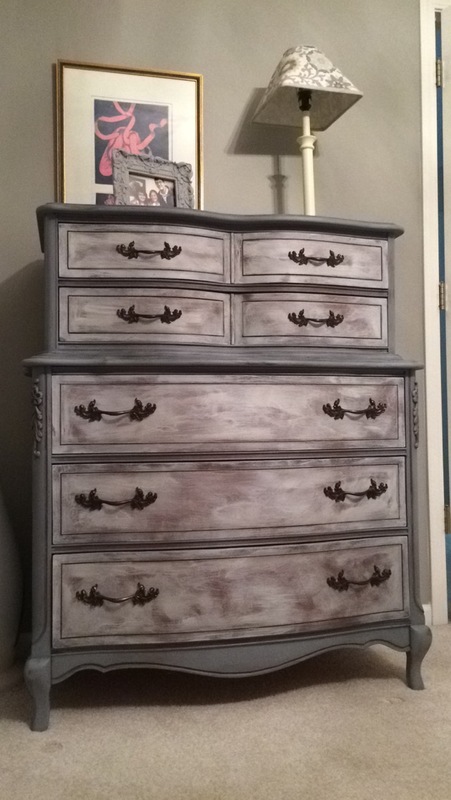 It is painted in Vintage Market and Design Furniture Paint in Chateau and Cotton and finished with Clear Wax and Cast Iron Crowning Touch. I love how the crowning touch makes all the detail work pop! It’s one of my favorite products. 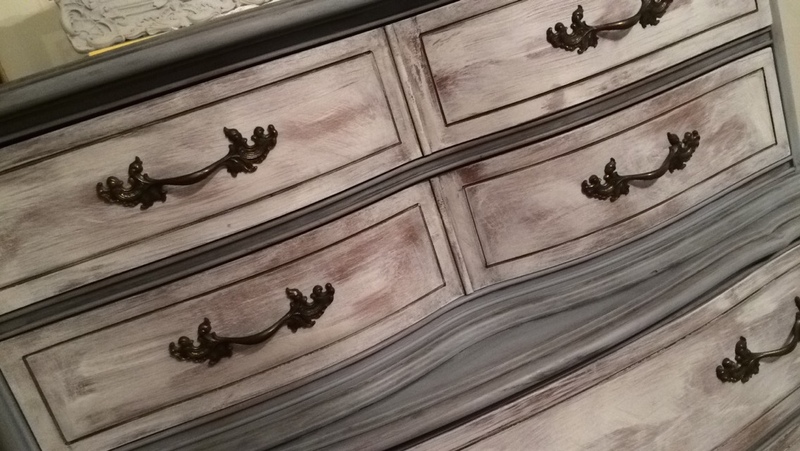 By the way, did you know to get that real shabby look on the drawers, all you have to do is put on one very thin coat? The trick is to not over saturate your brush! You can always go back and sand some paint off, but in this case, I was very careful to not put too much paint on my brush and I didn’t have to sand at all!